Do you have an upcoming religious event to celebrate? Want to do something unique for it? 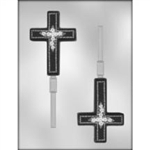 Make your next religious occasion a memorable one with chocolates made using one of our religious candy molds. You’ll find a wide array of options here, whether you’re interested in making a batch of chocolate crucifixes or would prefer a 3D menorah. If you’re looking to buy chocolate molds online and want a religious theme, you’re in the right place. The chocolate molds online at Sweet Treat Supply range from dozens of bite-size cavities to one large design, so you can choose whichever you prefer. The full-size options can be great for table centerpieces, while the bite-sized pieces are perfect for nibbles or party favors. Just try not to eat the whole batch yourself. 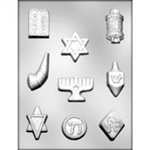 For chocolate cross molds, Inca God molds, Star of David molds and so much more, look no further than our wide selection here. Plus, our prices are great and our shipping is fast. 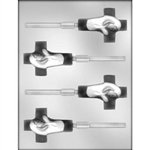 Order your next mold today!